The roads in life get rough sometimes. The rain clouds start to roll in, thunder and lightning begin, and you feel like you are stuck right in the middle of it. You can start to sink and feel like you are trapped. It’s hard to get out of that mind space and in order to do so, we often need a bit of encouragement. In times like these, we truly believe that crystals are a gift. They can help you back up, you can dust yourself off, and it will help you move on. They are also excellent for children and teenagers, to encourage them to do their best in life and school. We all need a little encouragement from time to time. Even if you are getting it from your support system, it doesn’t hurt to have a little more. It will help you try your best and move forward every day. Orange is one of the brightest and happiest colors in the spectrum. It gives off a very fulfilling and pleasurable vibration. Orange is actually a combination color, bringing the passion of the red ray which has an almost multiplicative effect in the orange ray as it combines with the happy elements of gold. Orange colored stones will fill you with life, joy, and a sense of closeness with those around. It is the color of joy and friendship. 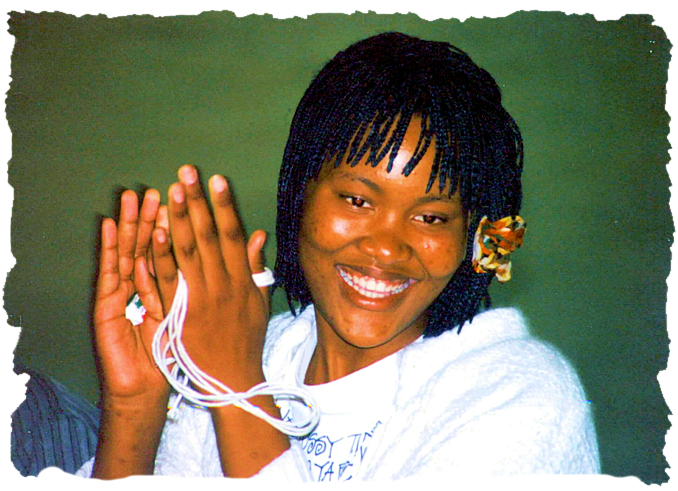 Joy is a pure emotion, an elusive one, but a heartfelt one. Often as people grow older, they lose the capacity for experiencing pure joy. It can be a simple delight or a deep, lasting feeling. If something seems to be missing but you can’t really describe it, perhaps a bit of orange mixed in your daily life is needed. 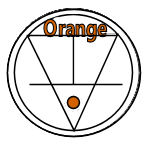 While pure orange colored crystals may bring you joy and pleasure, it is in the lighter shades of orange that you will find encouragement, overcoming shyness, friendship, kindness, praise, selflessness, and dedication. These gentle vibrations can bring very powerful results. Orange itself is a happy, outgoing, and sharing color. It brings things and people together. It integrates the parts of our communal lives. It is the “home stone,” the “village stone,” and the “community stone.” The lighter shades of orange can bring you encouragement along with the sense of closeness and support you need from those around you. As stated before it is a very powerful ray and crystals that possess it are particularly valuable. With the radiance of the sun and the fire of the solar ray, Sunstone carries the energy of Ra, the sun god, whose energy brings all potential life from within the Earth. It is a Stone of Leadership - of personal power, freedom, and expanded consciousness. Truly reflecting the qualities of Light, it brings openness, benevolence and warmth, strength, mental clarity, and the willingness and ability to bestow blessings upon others. It helps remove co-dependency, overcomes procrastination, and encourages self-empowerment and independence. Those who hold back because of fears and self-doubt may find Sunstone melts away the sense of unworthiness, feelings of being discriminated against, disadvantaged or abandoned. It emanates a rich and positive spectrum of energies that re-balances one's emotional patterns, and encourages optimism and enthusiasm. It can help transform anger into energy and judgment into joy. A special and quite stunning crystal that we believe will help encourage you is Golden Orange Mist Aura Quartz. Golden Orange Mist Aura is a natural quartz that has been coated using rare natural earth elements in a high pressure process that gives the crystals a new "skin” of a beautiful golden energy. The energy from the rare elements brings a fresh, new energy to the natural quartz like the energy of a new day is found in light of the sunrise. Golden Orange Mist Aura Quartz also brings you Fire Energy. Fire energy is the energy of enthusiasm, warmth, brightness, illumination and activity. They are absolutely perfect for personal talismans as well. We recommend that you keep one near where you spend time at home. Keep it where you can see it and absorb its golden energy into your life daily. We also find them to be a good talisman of devotion. Give one to a loved one, and see the result! With its powers of the sun and light, Sunstone clears and cleanses all the chakras, restoring joy and nurturing the spirit. It is particularly energizing to the Base and Sacral Chakras, stimulating leadership and will, creativity and sexuality. The Gold Color Ray of Influence is associated with both the 2nd Chakra: the Sacral Chakra. It is used when the stomach area of your body is out of balance. In emotional healing, golden orange cystals and stones are used to assist in efforts to relieve worry. 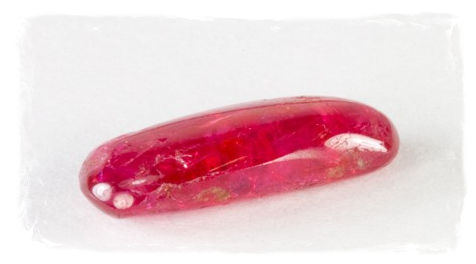 Judy Hall suggests Spinel which is a crystal of physical energy, vitality, and protection. Spinel is a beautiful crystal connected with energy renewal, encouragement in difficult circumstances, and rejuvenation. Cassandra Eason recommends Turquoise which is an amulet stone of tranquility, peace, and protection from the undesirable elements of life. 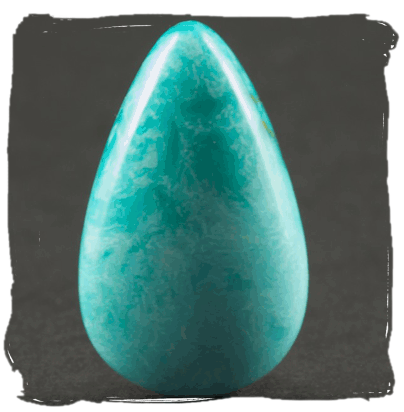 Turquoise is good for empowering yourself if you feel a victim or suffer prejudice or bullying. Worn as jewelry or carried in a pouch, turquoise is a talisman for immense good luck, success, money, fame, ambition, and creativity. We spend our lives seeking encouragement in some way. This behavior starts when we are young and seek the attention and approval of our parents and manifests as we get older. We seek encouragement from our spouse, friends, and family. It is a natural boost in our self-confidence, motivation, and drive. Whether the road is dark now and you need a gentle nudge to move on or you just would like the added boost of feelings of encouragement in your life, we believe in using light orange colored crystals. 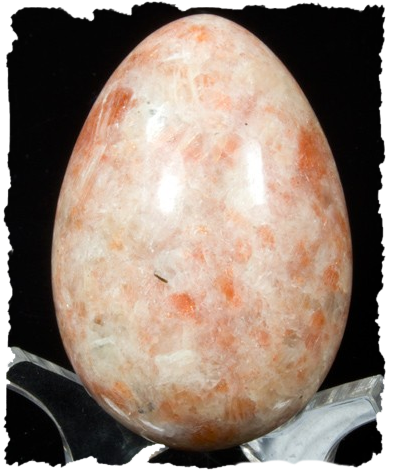 Orange crystals bring you joy, friendship, encouragement, and dedication. 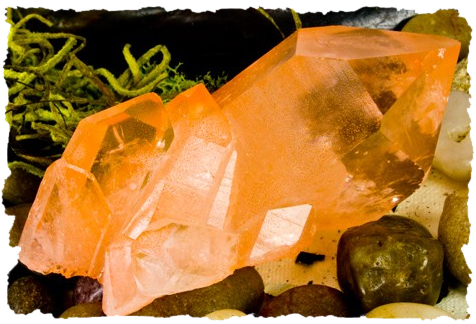 We suggest using light orange crystals such as Sunstone and Golden Orange Mist Aura. 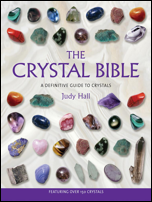 You can also try crystals that other authors have recommended such as Spinel and Turquoise.